Lisa has a Bachelor of Science Degree in Business Administration and Management from Mankato State University. 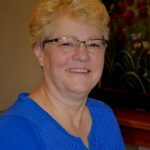 Lisa has worked as the Development and Marketing Director of Benedictine Living Community of St. Peter and was the Marketing Director and Life Enrichment Coordinator at Monarch Meadows in North Mankato. Lisa has been an active volunteer for Girl Scouts for the last ten years. Her favorite thing about Ecumen St. Peter is the “amazing team we have at Ecumen Prairie Hill and Ecumen Sand Prairie. I have seen so many wonderful acts of care, empathy and love for residents.” When she’s not working, Lisa enjoys time with family, entertaining, camping and volunteering. Becky Nasers, RN plays an important role as the Clinical Director for Ecumen Prairie Hill and Ecumen Sand Prairie. Becky earned her Bachelor of Nursing from Rasmussen College in Mankato. Prior to working for Ecumen St. Peter, Becky managed the VA Clinic in Mankato and worked at the Thro Company (now called Monarch Healthcare Management) in Mankato. Favorite part of her job? Becky states, “I enjoy the employee teamwork and working with the wonderful residents.” When she is not caring for others Becky enjoys quilting, camping, reading books, watching movies, going for walks and playing with her grandchildren. 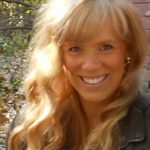 Kristi Ellwein, RN has a Bachelor of Science Degree in Speech Communication with minors in Marketing and Sociology from Minnesota State University-Mankato. She also received her RN licensure from South Central College. She has worked as a Brand/Advertising Manager at Taylor Corporation’s wedding division and also as a PCA and RN at Mayo Clinic Health System-Mankato. Kristi’s favorite part of her job is, “Getting to know the residents and their families. Everyone has their unique story and I love learning from them. 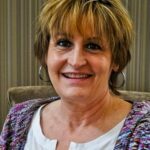 It’s a honor to help make Ecumen home for them.” In her free time Kristi enjoys attending her kids’ sporting events, spending time with family and friends, being at the lake, decorating and watching movies. Matthew attended the Arts Institute International of Minnesota and earned a Bachelor’s degree in Culinary Management. 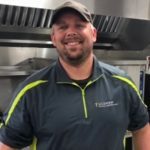 Before coming to Ecumen Sand Prairie he had been a Chef at the Henderson Roadhaus, an Executive Chef at Turner Hall New Ulm and an Executive Chef at Mad Jack’s Sports Cafe, Vadnis Heights. When asked what he likes most about working at Sand Prairie Matthew states, “What I love most is being able to talk with the residents every day and see how they’re doing. I like to see if there’s anything I can do to help their day go well. Working here also brings me closer to my mom. She used to work in nursing homes and hospice.” In his free time Matthew enjoys reading camping, hiking and wood working. 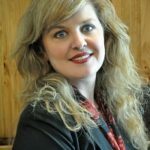 Krista is the Human Resources Specialist for Ecumen Prairie Hill and Ecumen Sand Prairie. She received her Bachelor of Science in Psychology from Minnesota State University, Mankato. 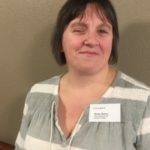 Prior to working for Ecumen she was a Direct Support Professional for people with severe and persistent mental health issues and then a Staffing Coordinator/HR Specialist for Rose of Sharon Manor in Roseville, MN. Krista’s favorite part of working at Ecumen is, “Everyone is so welcoming and are genuinely caring people. I also enjoy the quality of care that is given here. 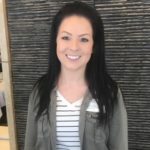 Our residents are not just a number and they receive such great and personalized care which is hard to find.” When not working Krista enjoys spending time with family, joking around, being on the lake, fishing, running and cuddling with her cat. She also enjoys eating ice cream and shopping. Steven Anderson is Ecumen Prairie Hill and Sand Prairie’s Environmental Director. He is married and has four boys. 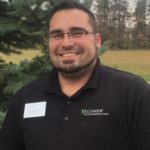 Before coming to Ecumen, Steven worked as a Maintenance Lead for Atwood Property Management. He has also been a PCA and direct support staff. Steven states, “I really enjoy working here because I like helping others and seeing the residents smile. I enjoy getting to know the residents and feel I’m building strong relationships with them.” In his free time he enjoys spending time with family. He is also involved with his church and is a leader for the Kids’ Ministry.